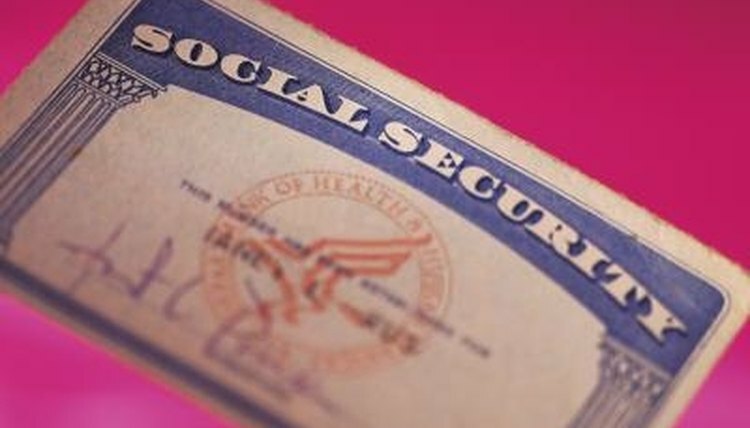 Whether your name change was due to marriage, divorce or personal choice, it is important that you inform the Social Security Administration (SSA) as soon as possible. If your name is not updated in the SSA's records, you could have difficulty receiving your tax refund or obtaining benefits. You will need several documents to both establish your identity and confirm your name change, and should be aware that all of these documents must either be originals or certified copies issued by a government agency or office. The form for an original, replacement and changed/corrected Social Security card is the same. Form SS-5 can be downloaded directly from the Social Security Administration's website. If your name change is due to a marriage, divorce or annulment, you will need to show proof of the change in your marital status (such as a certified copy of your marriage certificate or divorce decree). You will also need to present one identity document showing your old name. If you legally changed your name in court, you will need a certified copy of the court order. If the documentation you present does not provide enough information to properly identify you, or if you changed your name more than two years ago, you will need to present additional documentation. This documentation is usually in the form of a legal document that contains your old name as well as identifying information (such as your date of birth, a physical description or a photograph). Citizens will need to show a document that establishes their identity, preferably with a color photograph. United States passports and state-issued drivers licenses and identification cards are acceptable documents to prove identity. Non-citizens will need to show their current immigration documents as well as an unexpired passport from their home country. You will only need to prove citizenship if you have not already done so with Social Security. If you were born in the United States, you will need to show your U.S. passport or a certified copy of your birth certificate. If you were born outside the United States, you can show either your U.S. passport, US Consular Report of Birth or a certificate of citizenship or naturalization. If you are not a citizen, you must show your most current immigration document. Petersen, Lainie. "Documents Needed to Change the Name on a Social Security Card." , https://legalbeagle.com/5904107-documents-name-social-security-card.html. Accessed 19 April 2019. How Do I Find My Certificate of Naturalization Number?